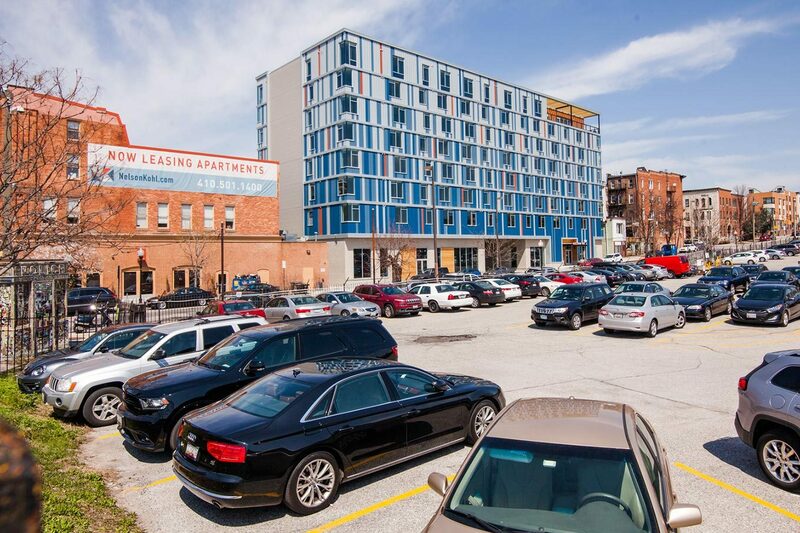 This 7-story mixed-use building, located at the gateway of Baltimore’s burgeoning Station North Arts and Entertainment District, is an exciting development in Baltimore’s ever-changing landscape. 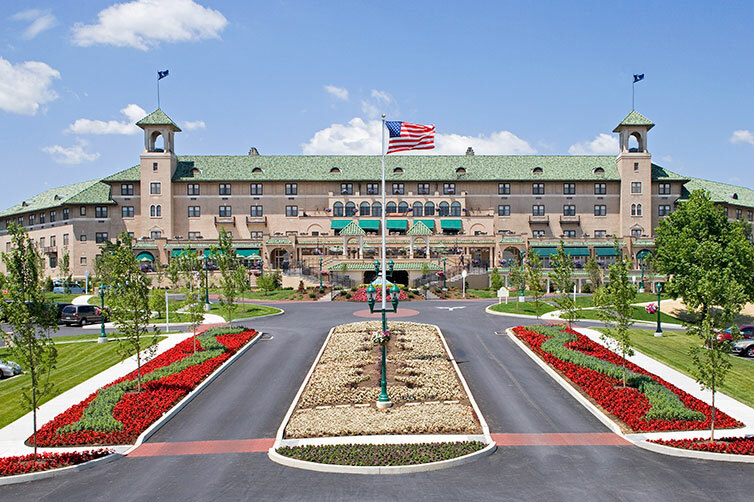 A partner that knows the city’s ins and outs was necessary for success, and Century’s team was a perfect fit. In a neighborhood named for its location just north of Penn Station, the busy hub of Baltimore’s Amtrak and MARC rail systems, it was critical that Nelson Kohl be designed with accessibility to transit and its residents’ convenience in mind. 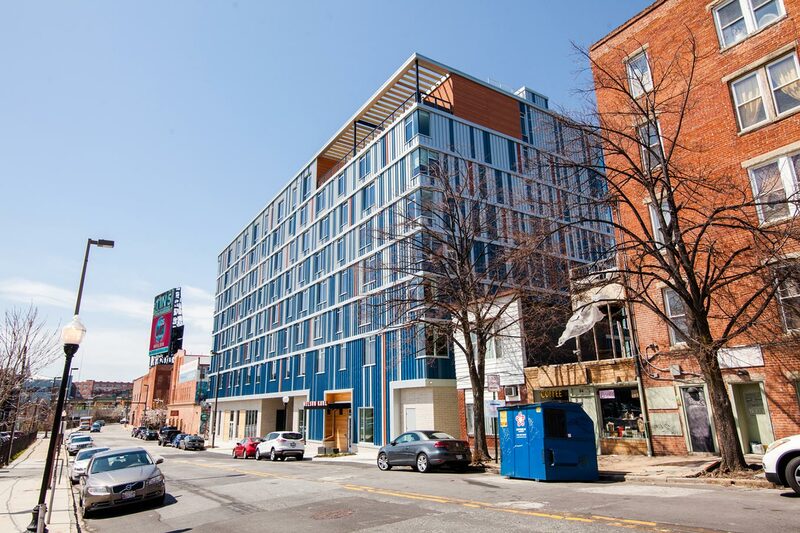 As a Transit Oriented Development, the building is not only minutes from everything, but also creates a vibrant community in which to live and work, with building amenities including a gallery, public roof deck, gym, and business center. Century’s expert knowledge of Baltimore City and the public infrastructure in and around the project area was vital when the building, which sits on what was once six separate land parcels, needed to be designed to not just fit between streets, but also to span overtop of one. To accommodate the project area’s unique position, the original parcels were consolidated into one and air rights were acquired to allow the new building to cross over Lovergrove Street and construction to continue without issue. Nelson Kohl’s living roof system is more than just an aesthetically pleasing green space. 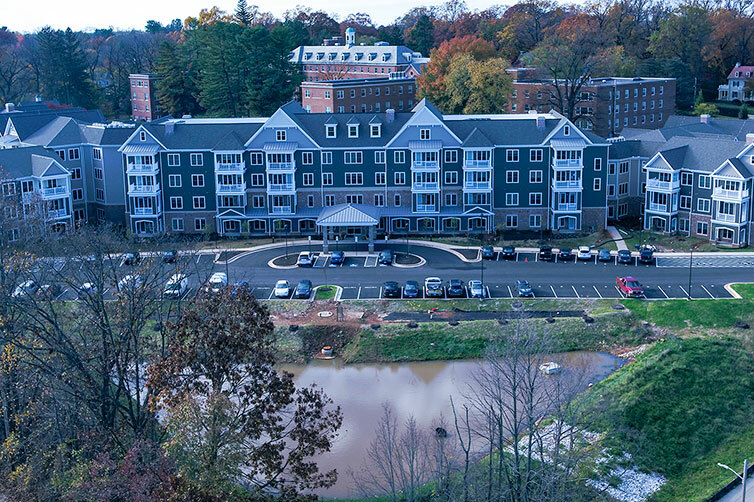 By coordinating with the architect and plumbing engineer, Century’s creative design sends stormwater runoff from the roof in two different directions, matching the runoff characteristics of the predevelopment site conditions.